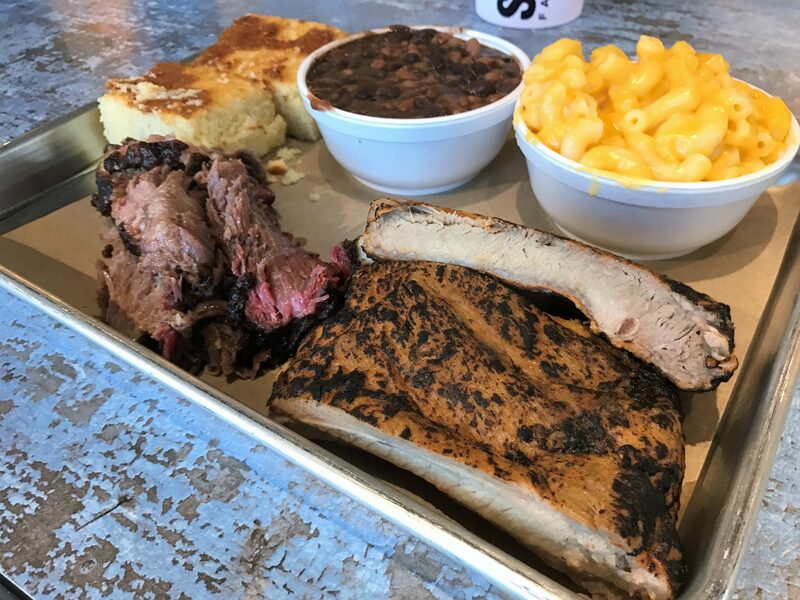 We dropped in at locally owned BBQ chain SmknQ, which has quickly grown to 4 locations around the First Coast, despite the fact that most of the city has still never heard of them. We previously visited SmknQ’s flagship location at JTB and Phillips and it was honestly pretty awful. They had just opened at that time, so we chose not to write about it and instead to come back again. 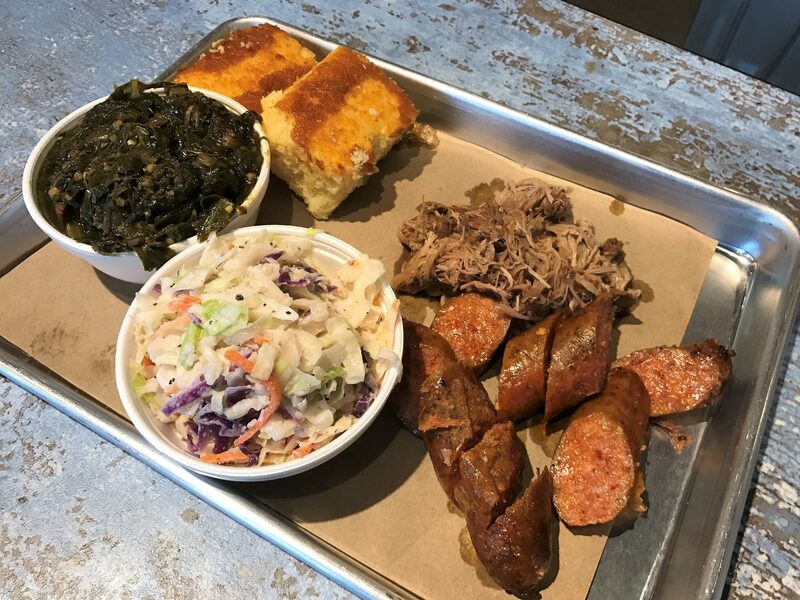 This time we stopped in at the new location on Beach Blvd near Hodges since it was convenient to home and we were in the mood for BBQ. Unfortunately this visit was just as monumentally bad. Buckle up for the run down on one of the worst restaurants we’ve ever reviewed. The first meat we dove into was the brisket. It visually looked a bit like corned beef and it actually ended up tasting a lot like corned beef too…. bad corned beef at that and much saltier than corned beef. The next meat we tried was the pulled pork. It was mushy and tasted far, far saltier than it should. It had an overall weird flavor which reminded us a bit of bad school lunch food, similar to how cafeteria food all has a similar taste, or after a while everything out of the crock pot tastes the same regardless of what it is. The St Louis style ribs were next. They tasted like what we can only term as mystery meat, at least in part due to the sponginess of the meat. They generally lacked flavor and what flavor they had was weird and definitely not distinguishable as any ribs I’ve tried before. The spicy sausage had okay flavor but was mushy and lacked any kind of snap you find in quality sausage. When we were ordering I asked whether they smoked the meat at this location. The manager told us that they smoke the meat at their JTB location and drive it over 3 times a day. 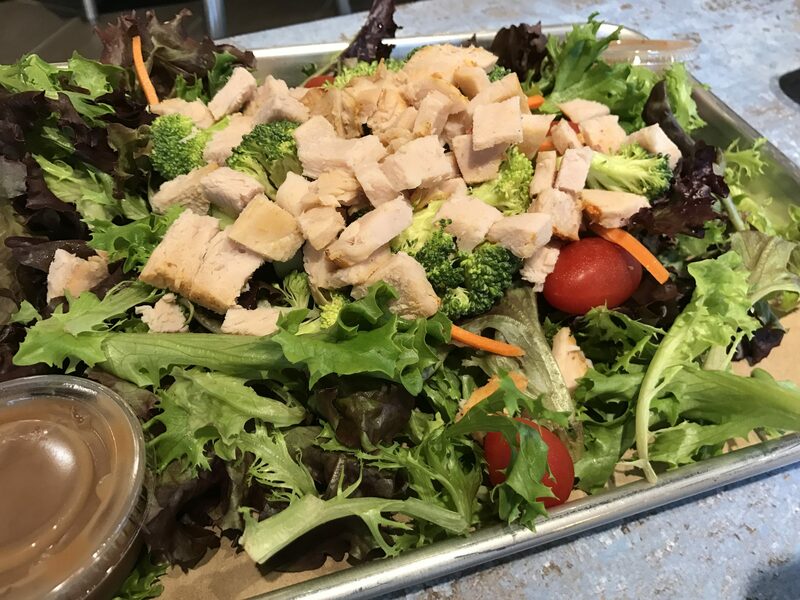 We also dove into a Q house salad topped with turkey. The salad was nicely done with mixed greens, grape tomatoes, carrots, cucumber, and broccoli. It typically comes with boiled egg as well, but for personal preference we got it sans egg. Everything was nice and fresh. If you want a salad this actually might be a decent spot to stop for one. The turkey was fine. We’d order it again or maybe grab one to go in the future. The sides were nearly as awful as the meats. The cole slaw tastes like the moment where you’re at the beach, get knocked over by a wave and unfortunately ended up with a mouthful of salt water. One bite of this nasty stuff is all anyone could handle! I cannot accurately describe how truly awful it was. Maybe they added salt instead of sugar? The Mac n cheese tasted very similar to Stouffer’s frozen mac n cheese, but not as good. I’m not knocking Stouffer’s, but a restaurant should at least be up to par with the grocery store frozen standard. This wasn’t. It was creamy, but not as flavorful. The baked beans taste like they took a can of Bush’s baked beans and a can of black beans, drained the black beans then mixed it all together and served this flavorless mess to customers. They should have just served Bush’s. The cornbread had an okay flavor, but the texture was closer to cake than cornbread and was far softer than it should be. The collard greens were more of a stewed version of greens and mushier than they should be but the flavor was pretty decent and I would eat them again. There are four sauces to choose from at SmknQ. Based on the thick consistency and the quality of everything we ate, I would assume these are not made by SmknQ, but who knows. The Gold (mustard) sauce and the Sweet sauce were the preferences at our table. They both had good flavor, though not enough to cover up the bad meat textures. The original tasted like any bottle of BBQ sauce you’d get at the grocery store. After having tried SmknQ twice we can confidently say this is certifiably the worst BBQ is Jacksonville. It may be the worst BBQ in the southeast. Almost every meat and side we tried was mushy or spongy. How this BBQ chain has gotten to 4 locations we’ll never understand. Tagged bbq, Casual, Dinner, Fast Casual, lunch. Bookmark the permalink. 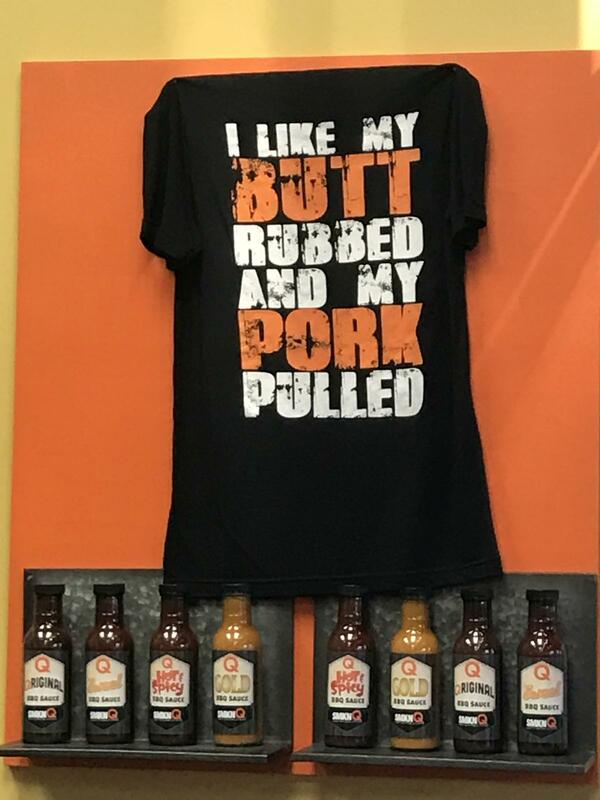 Obviously you have not tried “The Pig BBQ”. They serve shredded beef, which is steakums overcooked and chopped. If you truly want to experience the worst BBQ in the state, check out “The Pig” on banding. Maybe this is a basis report!